- How have Lidl made great strides in the UK grocery market? - Custom Essay Writing Service UK for Your Academic Success! - Custom Essay Writing Service UK for Your Academic Success! How have Lidl made great strides in the UK grocery market? The UK grocery market is a highly competitive and saturated market with thousands of competitors. Demand is distinct for being price elastic such is the nature of the market. This makes it notoriously difficult to make any advances on market share (Burt and Sparks, 2003). Since entering this market in 1994, Lidl have become deeply entrenched with over 600 stores at its disposal which expresses the phenomenal success that they have achieved (Lidl 2012). They are now a formidable competitor feared by the other major supermarkets. The big four supermarkets in the UK such as Tesco and Asda have now endured a decrease to their market share, as the discount supermarket Lidl has made gains (Butler, 2015). Brinded (2015) outlined that as of May 2015, Lidl had accomplished a record market share of 3.9% with an 8.8% increase in sales. Such displays of growth are very much owed to the marketing strategy implemented by Lidl. Fifield (1998, p.27) defines marketing strategy as the “process by which the organisation translates its business objective and business strategy into market activity”. He also emphasises the importance of executing plans quickly in response to various market changes. Lidl as will be explained has executed this definition to great success. This essay will analyse the marketing strategies devised by Lidl and will also propose suitable recommendations to enhance the marketing strategy to sustain financial performance and UK expansion, with a brief insight into the enormous challenges encountered by Lidl. With the price per majority of products being relatively small it is crucial that stores sell a high volume with great variety. Therefore a large and repeat buying consumer base is crucial for any long term success (Oliver, 1999). Such a rigid outline for success means that the barriers to entry are quite formidable. Stigler (1968, p.67) categorised barriers to entry as “a cost of producing that must be borne by firms seeking to enter an industry but is not borne by firms already”. Of course Lidl was and still is a massive supermarket in Germany from the 1980’s and was recognised throughout other European countries but it was completely diverse to the stores in the UK which made Lidl’s introduction a risk. It doesn’t seem cynical to suggest that there also exists a long established oligopoly whose economic dominance makes the market even more challenging to infiltrate (Blythman, 2008). BBC (2006) support this view by reporting in 2006 that Tesco, Asda, Sainsbury’s and Morrison’s controlled 74.4% of the market. This oligopoly means that there are higher barriers of entry, requiring significant capital to overcome. It has also fostered extreme levels of customer loyalty which is a complex obstacle in itself to overturn. Such dominance translates to quite high profit margins when compared to discount stores. Ferrell and Hartline (2014) identified capital, advertising, government regulations and adequate infrastructure as the primary barriers to entry in a market which is oligopolistic. Strategic Analysis- Lidl’s rise to prominence during the financial crisis was a massive example of how strategic analysis benefited their marketing strategy. Senior and Swailes (2010) were adamant that for any successful marketing strategy the information needed to be accurate and timely. In specific they pinpointed environmental triggers of change which encompasses, political, economic, social, technological, legal and ecological factors. Lidl regarded the financial crisis as an opportunity and began to stock greater numbers of cheaper products. Most notably middle class consumers who before the crisis would not have shopped at a discount store were attracted by the cheaper prices of products. This stimulated an uplift in customers, leading to a massive increase in sales. It is evident that Lidl’s marketing strategy is identifiable with that of the evolutionary approach, whereby reacting to changing market conditions by launching initiatives has been a success (Fifield, 1998). Johnson and Scholes (2000) believed a SWOT analysis was an efficient method of enhancing any marketing strategy. While a SWOT analysis portrays the financial crisis as an opportunity it would also highlight major weaknesses so that they can be confronted. Poor reputation and brand image would seem to be Lidl’s major weakness with Connolly (2008) exposing poor working conditions and minimum wage throughout the UK stores. This illustrates that there are areas which Lidl’s marketing strategy did not address. Innovation- Although simplistic, Lidl incorporated a basic standard of store interior where stock was commonly placed in bulk on pallets with minimal or no additional services such as a butchers which is a familiar service in most supermarkets. It is apparent that Lidl have relied heavily on the framework of the generic strategy of cost leadership. Porter (1985) presented this strategy as one where a competitive advantage is engineered by minimising costs and lowering prices. This has been cardinal to Lidl capturing market share, whilst producing considerable profits. This strategy has also been successful for huge multinational companies such as Ryanair who can offer greatly reduced prices by maintaining a low standard of service. As can be seen with Porter’s (1985) generic strategies matrix, Lidl’s marketing strategy achieved optimum success as they had a broad market scope to aim at. Multiple Businesses- Lidl was already a major force in mainland Europe and therefore had massive capital to sustain large scale expansion into other countries. The marketing resources were present and availed of in an ambitious marketing strategy where Lidl would operate below the level of the larger supermarkets, aspiring to build themselves up eventually to that pedigree. Hooley et al (2008, p.289) commentated that “marketing assets and capabilities have potential for exploitation”. Lidl’s marketing strategy utilised the assets of the company to allow them to continuously grow without any cash flow shortages. Sustainable Advantage- Higher quality consumables that can match the quality of household brands primarily stocked in the major supermarkets has attracted a larger range of consumers. Moreover it has provided an effective competitive advantage which diversifies Lidl. Small, unknown brands mean that Lidl can comparatively sell at a much lower price than what is demanded from market leading brands. Durrani (2015) highlighted that in 2012 alone Lidl had spent £21 million on advertising activity, another key factor in the effectiveness of their strategy. 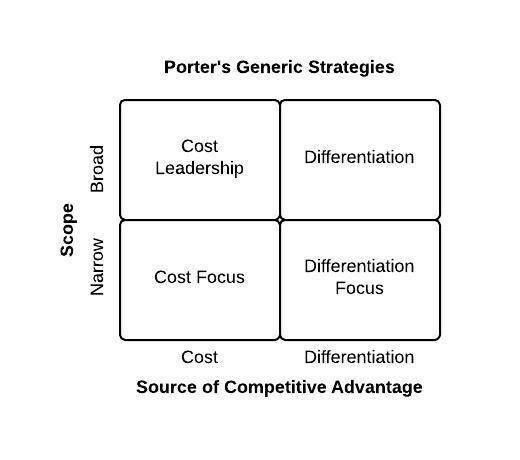 In contrast to Porter’s theory of cost leadership, it must be appreciated that this strategy in isolation does not sell the product. McCarthy (1960) constructed the marketing mix which gives a much more definitive portrayal of how to produce sales. From the above analysis it is clear that Lidl’s marketing mix which as McCarthy (1960) outlines involves product, pricing, place and promotion worked with emphatic success. Interestingly it has been contested that much of Lidl’s success has been owed to the financial crisis of 2008. While this does demonstrate Lidl’s competency at processing information and intelligent decision making, they now must be proactive and plan for the future. It is likely that they will again exist in a strong economy where consumers will be more inclined to spend on luxury brands and in stores such as Marks and Spencer’s. With the grocery market being so dynamic and volatile it is crucial that Lidl engage in further market research to identify exactly what consumers want so that the company can be improved to accommodate for these demands. If done so correctly customer loyalty will be retained. Oliver (1999, p.33) has discovered that “the net present value increase in profits that results from a 5% increase in customer retention varies between 25% and 95% in 14 different countries”. With regards to this information it would be advisable for Lidl to engage in loyalty schemes where repeat buyers are rewarded with discount and exclusive offers. However it is a complex task to estimate factors such as consumer spending as explained by Dekimpe et al (2010, p.29) who states that “predicting aggregate consumer spending is vitally important to marketing planning, yet traditional economic theory holds that predicting changes in aggregate consumer spending is not possible”. This demonstrates how challenging it is to make accurate assumptions. As proposed by Chisnall (1995) it would be recommendable that Lidl should execute multiple sourcing on a wider scale whereby a larger variety of suppliers are contracted. He explained that this would secure expansion as it would limit the consequences of a main supplier defaulting. Brand repositioning is the possibly the most important recommendation to ensure Lidl continue making substantial market gains. Burt (2000) noted that although discount stores can potentially make significant gains it is essential that for long term success their brand image must be improved. It was revealed by igd (2015) that the UK market on March 31st was worth £177.5 billion, an increase of 1.7% from the previous year. An indication that consumers may begin to expect greater quality, which could leave Lidl surplus to requirements. To reinforce the need to improve the brand image Ross Millar, the managing director of Lidl Scotland (Lidl 2012) revealed that 63% of customers interviewed agreed that if they had more money they would buy better quality food. It is clear that Lidl will have to improve the quality of produce that they source. Further large investment is required to modernise store interiors with additional services needed to be established. This will not only increase revenue due to diversification but as mentioned above the brand image will be vastly improved. Lidl will be transformed from the perception of being solely a discount retailer to being a ‘one stop’ shop where consumers can purchase all of the groceries that they plan on purchasing. Furthermore a popular feature of larger supermarkets is ‘online shopping’ whereby by customers can make online orders for home delivery. It has been a huge success for Tesco which has also boosted its brand image. For Lidl to continue to compete with the larger supermarkets in the future and to prosper, they too must develop an online shopping service. Such is the age we now live in where spending is heavily dictated by technology it would be naïve of Lidl to ignore such an opportunity (Burt and Sparks, 2003). It also promotes brand awareness. Blackman (1975) suggested that corporate social responsibility (CSR) is another factor which many large multinational companies are having to introduce as it ranks highly in priorities demanded by stakeholders in the 21st century. Lidl have already began to source fair trade products, but they must do a lot more as consumers now expect fresh produce and a range of ethical products. Drucker (1984) was of the view that CSR will influence consumer behaviour greatly as it is increasingly in the interest of society. However Boulstridge and Carrigan (2000) maintained that price, quality, brand familiarity and value were still the key factors that controlled consumer spending. Lidl’s marketing strategy has been as innovative as it has been opportunistic, which reflects the position it now finds itself. Ferrell and Hartline (2014, p.17) stated that marketing strategy “is a plan for how the organisation will use its strengths and capabilities to match the needs and requirements of the market”. It is apparent that Lidl have executed their marketing strategy to maximum effect, exploiting an opportunity in the market with exceptional financial performance as a result. Lidl’s ascendency is summarised by Fuller (1999, p.3) who defines marketing success as “satisfied consumers and concurrent profit for the firm”. Lidl’s performance as a direct result of their marketing strategy firmly reflects this concept, which is testimony to all that they have achieved. However just as change brought Lidl success, it must be acknowledged that it can usher in collapse. Lidl have constructed a vast infrastructure in the UK that will allow them to pursue even more market share. The strategies that they deployed in the past seven years may no longer be adequate so it is vital that they continue to evaluate their environment and make decisions accordingly. Brand awareness and changing brand perception is the most vital area for the future marketing strategy as it will determine continued customer loyalty. Lidl now undoubtedly have the platform to become a market leader in the long term future if they continue to fuel growth by reacting to the ever changing consumer demands which has helped them climb to such a prosperous position. Structural inertia must not be allowed to breed, with moving forward the primary focus. Aaker, D.A., McLoughlin, D. (2010) Strategic Market Management: Global perspectives. West Sussex: John Wiley & Sons Ltd.
Blackman, J. (1975) Social responsibility and accountability. New York: New York University Press. Boulstridge, E. and Carrigan, M. (2000) Do consumers really care about corporate responsibility? Highlighting the attitude gap. Journal of Communication Management, 4 (4), pp.221-245. Burt, S. (2000) The strategic role of retail brands in British grocery retiling. European Journal of Marketing, 34 (8), pp.874-889. Burt, S. and Sparks, L. (2003) Power and competition in the UK retail grocery market. British Journal of Management, 14 (3), pp.236-253. Chisnall, P.M. (1995) Strategic Business Marketing. 3rd ed. Hertfordshire: Prentice Hall International Limited. Dekimpe, M.G., Fornell, C. and Rust, R.T. (2010) The effect of customer satisfaction on consumer spending growth. Journal of Marketing Research, 47 (1), pp.28-35. Drucker, P. (1984) The new meaning of corporate social responsibility. California Management Review, 26 (2), pp. 52-64. Ferrell, O.C. and Hartline, M.D. (2014) Marketing Strategy. 6th ed. United States if America: Cengage Learning. Fifield, P. (1998) Marketing Strategy. 2ND ed. Oxford: Butterworth-Heinemann. Fuller, D.A. (1999) Sustainable Marketing: managerial-ecological issues. California: SAGE Publications Inc.
Hooley, G., Nicolaud, B. and Piercy, N.F. (2008) Market Strategy and Competitive Positioning. 4th ed. Edinburgh: Pearson Education Limited. Johnson, G. and Scholes, K. (2000) Exploring corporate strategy. Harlow: Pearson education. McCarthy, E.J. (1960) Basic marketing: a managerial approach. Homewood: Richard D. Irwin Inc.
Oliver, R.L. (1999) Fundamental issues and directions for marketing. Journal of Marketing, 63 (3), pp.33-44. Porter, M.E. (1985) Competitive advantage. New York: Free Press. Senior, B. and Swailes, S. (2000) Organizational Change. 4th ed. Edinburgh: Pearson Education Limited. Stigler, G.J. (1968) The organisation of industry. Chicago: University of Chicago Press.